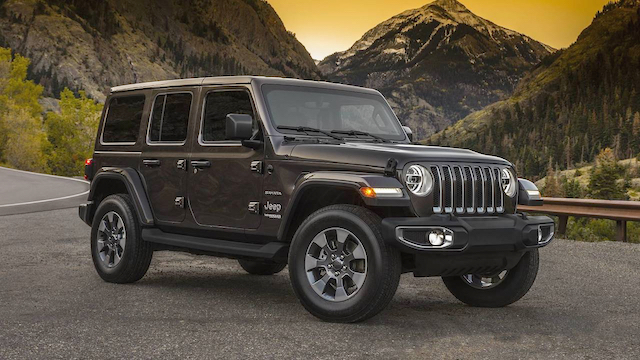 Why are Jeep importers Fiat Chrysler New Zealand (FCNZ) asking between NZ$16,000 and NZ$25,000 more than the Australians for the new Wrangler JL, a vehicle that is essentially an update of the outgoing JK model, albeit with more high-tech stuff? FCNZ has priced the premium Wrangler JL, the four-door Unlimited Rubicon, at NZ$92,990 – the Australians have it for the equivalent of NZ$68,000. Wherein lies the NZ$25,000 difference? The price of the entry-level two-door Wrangler Sport S across the ditch is the equivalent of NZ$51,500 – FCNZ wants NZ$67,990 for it. Wherein lies the NZ$16,000 difference? The five Wrangler JL models that New Zealand will get on June 1 are pretty much identical to those the Australians will get. A bit of spec here and there perhaps might be the difference, but that’s it. Each model has a 209kW/347Nm 3.6-litre V6 petrol engine, eight-speed gearbox, and four-wheel-drive gearing. The Rubicon gets tougher axles, lower gearing ratios, amid other specialist kit, for demanding off-road travel. Here are the prices: the first figure is the Australian retail price, the second, in brackets, is the NZ equivalent, at the current exchange rate of .95c, and the third is FCNZ’s recommended retail price. On-road costs are extra. FCNZ general manager Lawrie Malatios says pricing for the Wrangler JL reflects the scale of the total local market and the costs of supplying and supporting the new model in New Zealand. “The Australian market works on both a very different scale of the total market, and the fact that there is a much larger number of Jeep products on the road in Australia than in New Zealand, all of which feeds into a different pricing structure,” he said. FCNZ has left out from the JL line-up the hard-core, two-door Wrangler Rubicon. It has also omitted the optional turbo-diesel powerplant, a 2.2-litre Fiat Multijet II unit delivering 147kW/347Nm. Australians get the V6 petrol and the oil-burner. Of the two-door Rubicon: “Our customers have said they want this remarkably capable version with four doors so they can fully exploit its go-anywhere ability and have space for people and equipment to enjoy remote activities. 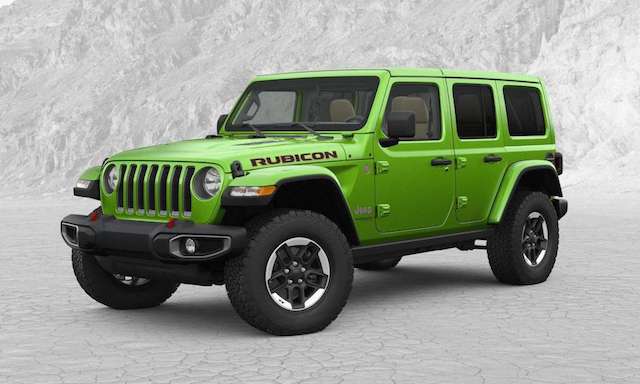 Based on FCNZ pricing, a two-door Rubicon JL would roughly be around NZ$88,000. That’s NZ$22,000 more than the NZ$65,990 dealers have on their books for the outgoing JK model Rubicon.